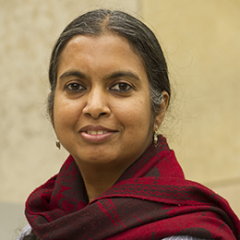 For further assistance, or to make an appointment for an individual research consultation, please contact Dr. Aruna P. Magier, South Asia Librarian. Office Hours: By appointment, by phone, or by email. The South Asian Studies Research Guide is a library tool to assist scholars and students at NYU in finding useful resources (in print and online) on South Asia. The Library also has a South Asian Diaspora Research Guide” (which should link to the other research guide at: http://guides.nyu.edu/content.php?pid=298169).